25% off ANY e-Learning with exams...25% off ANY ONLIVE Virtual Classroom with exams...15% off ANY London course with exams! Learn for less in the Spring holidays with SPOCE. Make the most of your time off and take any one of our range of career changing project courses. 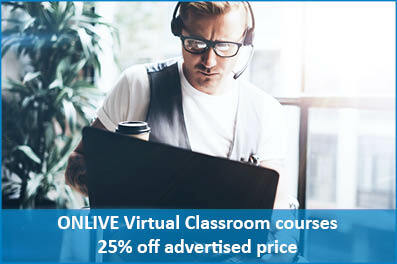 Take any of our e-Learning or ONLIVE Virtual Classroom courses 'including exams' from the comfort of your own home and get a whopping 25% off. That could be a cash saving of up to £250 off the cost of your course when you purchase Foundation and Practitioner. If you would rather study in the traditional classroom environment, we also have 15% off all of our London courses with exams. But hurry, our sale is limited to our first 100 courses sold. We have a wide range of courses on offer for you to choose from and a variety of learning options. Our London courses include the following, most of which you can select under our Virtual Classroom or e-Learning options if you prefer. All courses have a 0% interest payment option included. Please register your interest below for a full list of options. 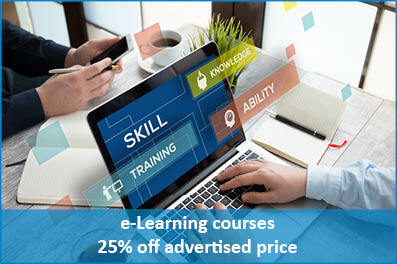 Ts and Cs: 25% off distance learning courses applies to all e-Learning and Virtual Classroom courses provided by SPOCE when the Easter Sale commences on Tuesday 2nd April 2019. 25% off is the discounted price from the advertised website price before VAT has been applied. If you purchase a course under this offer it does not include the SPOCE safe Hands (free resit) guarantee. SPOCE reserve the right to change or withdraw this offer at any time. This offer cannot be taken in conjunction with any other offer except with the discretion of the SPOCE team. Monthly payment plans can apply to all the courses in our Sale. Ts and Cs apply at point of purchase. Offer ends on Tuesday 30st April 2019. Classroom / virtual classroom courses purchased under this offer must be completed by 31st July 2019 and e-Learning courses must commence by 30th April 2019. Please be aware that this offer is for single delegates wishing to book a course. Please contact our Client and Partner Manager sarah@spoce.com if you wish to discuss multiple bookings. Offer is limited to 4 courses per person.